Loudoun Circuit Court Judge Douglas L. Fleming this morning denied two pre-trial motions in the case of a Leesburg man charged with involuntary manslaughter of 5-month-old Tristan Schulz. 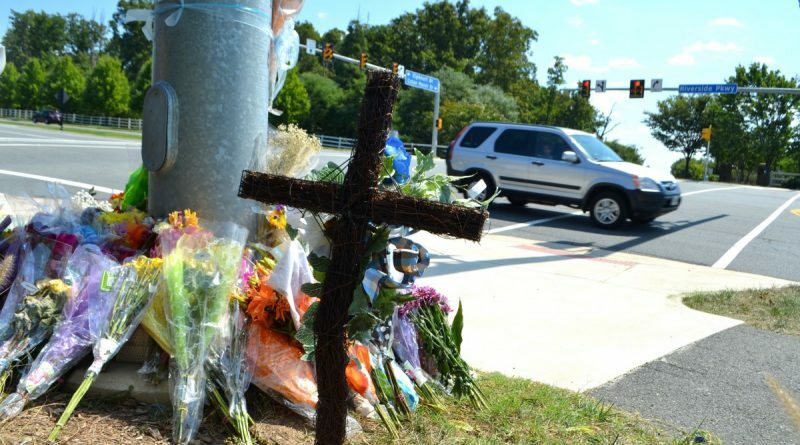 Investigators say, on Aug. 31, 2016, John Miller IV drove through the intersection on Riverside Parkway and Coton Manor Drive in Lansdowne, crashing into Mindy Schulz as she was pushing her infant son in a stroller through the crosswalk. Tristan was pronounced dead at the hospital shortly after. Mindy Schulz was injured and released from the hospital after three days of treatment. A witness said Miller was holding his phone at the time of the accident. In the May 24 hearing, Miller’s attorneys sought to eliminate forensic reports of Miller’s phone records as evidence during the jury trial in October. The defense argued that the reports showed Miller was not using his phone to make a call, send a message, open a browser or use social media. They said the accident had nothing to do with the phone, and using the phone records as evidence in the trial would confuse and mislead a jury. Fleming denied the motion, saying striking this evidence would take away the ability of the jury to decide whether the phone played any role in the accident. Miller’s attorneys also sought a Bill of Particulars that would force the Commonwealth’s Attorney’s Office to provide more details about the specific facts prosecutors plan to argue to meet the standard for involuntary manslaughter conviction. Fleming denied that motion, ruling that the information contained in the grand jury indictment was sufficient to explain the nature of the offense. A second motion hearing is set for July 19. Miller’s trial is scheduled to begin Oct. 10. Answer B is not an option, as the pedestrian was crossing the street properly- in the crosswalk and obeying the signal. So answers B and C can both be stricken from your choices. Read carefully: “…the reports showed Miller was not using his phone to make a call, send a message, open a browser or use social media.” There are a lot of other things he could have been doing with his phone that could not be discerned by any forensics – including composing a message to send, reading a message, reading any browser already opened, facetime, Pokémon Go, Clash of Clans, reading a weather report, framing a camera shot for a selfie, etc. Most of us are waiting for the defense’s argument. So far they claim it wasn’t the phone and that he wasn’t distracted.